If you are looking to do the Christmas Bird Count this year, there is now one central listing of the dates and locations for each circle in New Jersey. Here's the link. 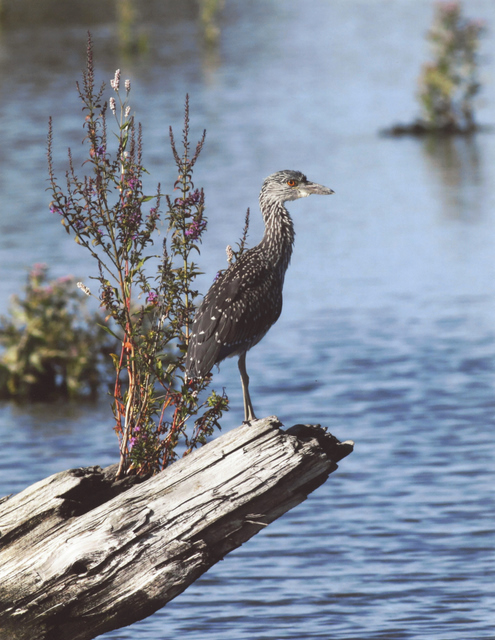 For a link to the National Audubon site, which has more about the Christmas Count's history and procedures, results of past counts, etc., click here. This guy has been tooling around the tidal impoundments at DeKorte, but he never sits still for a portrait. We managed to sneak up on him on Friday to get this one shot. Needless to say, we heard him before we saw him. How do we know it's a male? 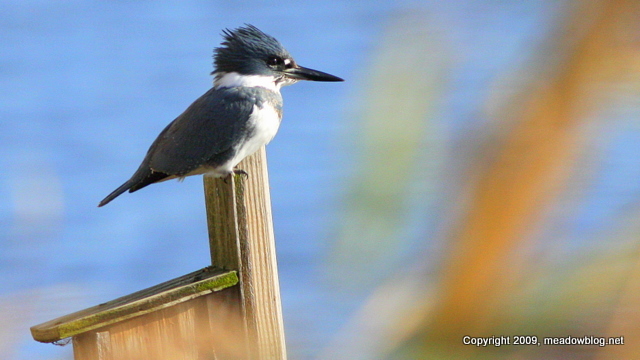 More on Belted Kingfishers here.